Monthly general internal cleaning, maintaining stainless steel outside. Bi-monthly thorough external cleaning, check of the bilge, sea valves, pumps, battery-status, generator & motor starts, ventilation, fender mooring. We recognize the specific wishes of every client and yacht, apart from these basic services. For that reason we will always inspect your yacht beforehand and agree upon your requirements throughout the year. Yacht service is our core business. The moment you step on board, you immediately want to enjoy the pleasures of your yacht. Let us know that you are coming and we will prepare your ship for you: whether you like to go sailing or to just stay in the harbor. We’ll ventilate and clean the cabin, fill up the tank and if you request so, fill up the refrigerator with your favorite products. You can have a cooled bottle of champagne waiting for you when you arrive. 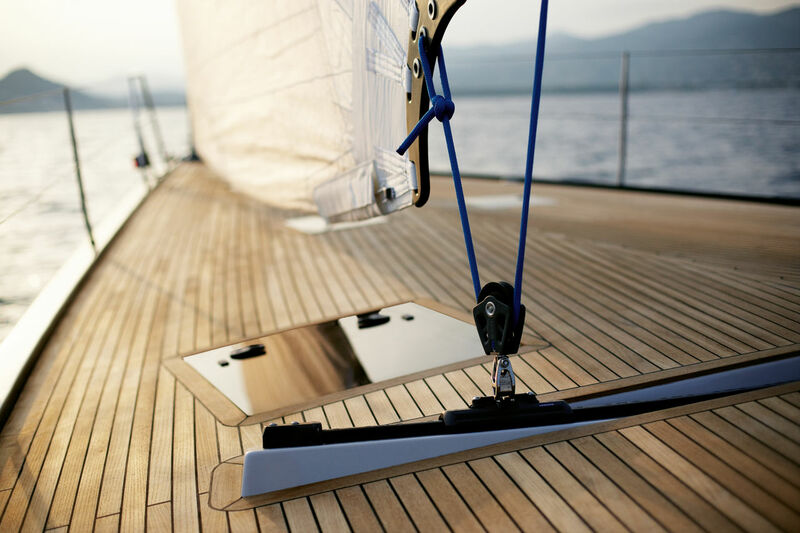 Whether you are a frequent sailor or not, your yacht is constantly exposed to the elements. Salty water and UV-light highly affects the hull and equipment. That is why we recommend to submit your yacht to a thorough check-up once a year apart from the monthly maintenance services we offer. Apart from the fact that this helps maintaining the value and beauty of your yacht, the annual revision is crucial for your safety and comfort. Sails, Mast and Rigging It´s recommendable to check your sails, mast and rigging every year: not only for your performance but also for safety. This also includes dis-assembly, cleaning and oiling the winches. Superstructure (Teak) Deck and Cockpit Waxing and polishing of the smooth gel coat and painted areas. Checking the condition of the (teak)deck and its seams. There where needed we repair and replace, clean and brighten the teak. Engine and Generator Our motor specialist runs and checks the engine. Electronics Our electronic engineer runs and checks all the electronic equipment aboard on their functionality, this includes a battery check. Safety checks To have a fire extinguisher, lifebuoys and life jackets on board is not a guarantee for safety if you do not check the functionality of this equipment. With an annual safety check we make sure that all the safety equipment is there and functioning to provide you with protection you if necessary.